It’s certainly a helpless feeling to be locked out of your car. Not to worry, though! You can count on our auto locksmith to treat your situation with the utmost urgency and respect. We do it all, from broken key extraction and car key reprogramming to keyless entry reprogramming and lost key recovery. Safeway Lock and Key will make the impossible, possible. You deserve to feel safe and secure in your own home. That said, it’s crucial to be proactive with this. Just because your home hasn’t been burglarized doesn’t mean you shouldn’t invest in home security. Our residential locksmith can customize a solution to fit the needs of you and your family. Simply let us know what you’re looking for and we will provide recommendations. Turn to Safeway Lock and Key for high-security locks, master keys, and more. Could the security systems be improved at your workplace? Our professionals specialize in commercial locksmith services. We regularly implement access control systems, card access/keypads, and panic bar exit devices. Let us help protect what matters the most to you. Call Safeway Lock and Key today for 24/7 emergency locksmith service. 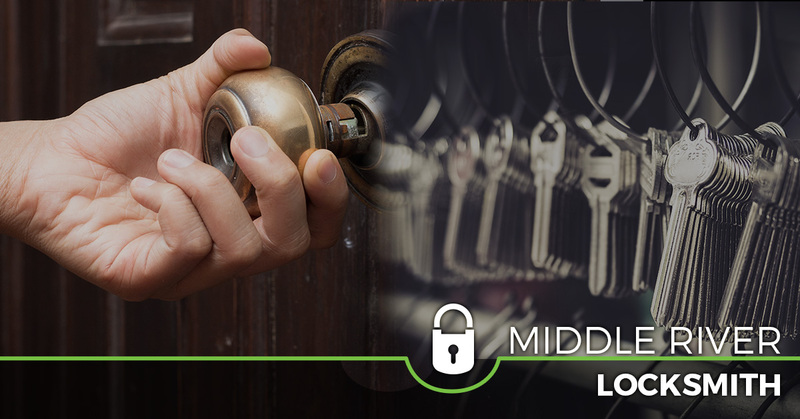 See what makes us the preferred locksmith in Middle River.